Occasionally, in the world’s fastest sport, the same scenario requires adjustments in the roster reports of individual teams. Now there are those who make comebacks after retirement. “Teeder” Kennedy was an early example. Guy Lafleur hung up the blades after 14 seasons with Montreal, then reappeared as a member of the Rangers; and Gary Roberts felt his back had had enough of the gaff—but pulled on the togs again, picking up where he left off. But this missive has to do with players who have called it quits, but, in order to fill an emergency gap, have reactivated themselves for on-ice service. There was the occasion in February of 1969 when Emile Francis signed himself to a quickie contract as backup goalie when Ed Giacomin was snowbound in Long Island. 37-year Don Simmons, the regular backup was called upon to play—leaving no sub goalie. “The Cat”, who hadn’t seen action since 1952 answered the call to duty; though he didn’t get into action. Contrarily, those who will be profiled here came out of retirement and played—for varying amounts of time. The same season that the Hamilton franchise was shifted to the Big Apple to become the New York Americans, the Pittsburgh Pirates were admitted to the league. 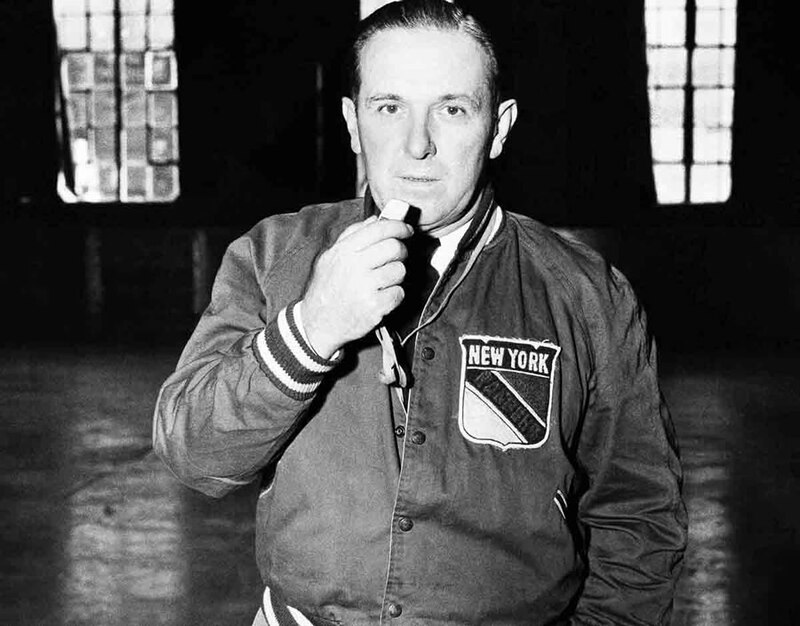 Former Canadiens’ stalwart Odie Cleghorn became the manager/coach/player of the new kids on the block. On February 23, 1926, the Steel City’s netminder, Roy Worters, had to excuse himself from the pre-game warm-up, when it became evident that he was fighting pneumonia. None other than Cleghorn, who had always been a forward in his playing days, but had seemingly retired as a player nearly a month earlier, strapped on the big pads and went between the uprights. Amazingly enough he beat the Habs 3-2 in his debut at that position. Without a doubt, World War II was the catalyst for a number of former pucksters to come out of the mothball mode and stretch their aching muscles, stepping in to help struggling clubs who were plagued with player shortages due to armed forces enlistments. Because the vast majority of NHL line-ups were Canadian, their country’s entry in the hostilities affected even American-based teams. As the conflict progressed, more empty seats appeared in locker rooms. When the Chicago Blackhawks hung up their gear at the end of the 1941-42 campaign, tough-as-nails defenseman Art Wiebe retired. He purchased a bakery in Vermillion, Alberta, and settled down to “civilian” life. But the Windy City contingent missed him badly. Manager Bill Tobin, and former defense partner, Earl Siebert, flooded him with appeals to help them out of the talent depression which afflicted their team as well as most others. Newspaper headlines read: “Art Kneads Dough; Hawks Need Art.” As the appeals multiplied, this one was front and centre: “Hawks Unable To Get Art To Quit His Cookies”. But finally, the fledgling pastry proprietor gave in, and part way through the ’42-’43 season he pulled on the black and white sweater again. He persevered for 33 games. The next year the saga was repeated—this time for 21 contests. He may have been a baker—but for the Blackhawks he was just what the doctor ordered. When the 1943-44 campaign got underway, the Maple Leafs were without their star backstop, “Turk” Broda. As they hosted the Rangers for the opening game on October 30, Benny Grant was his replacement. Grant had not played and NHL game for nearly 10 years, when he took a brief turn with the Americans. He had been in the minors since that occasion and, in fact, was out of competition entirely when the S.O.S. was received from Toronto, who still owned him. He persevered for 20 contests that year, winning 9, losing 9, and tying 2. Jim Coleman in his December 3rd Globe and Mail column, lamented the treatment Benny was receiving. Seems he was being given the raspberry quite frequently. But the highly respected shinny scribe opined: “He is performing well considering the lack of support his defense is giving him.” Babe Pratt, was especially guilty of leaving him standing alone, while he concentrated on rushing rather than rebuffing attackers. Another cage cop, Normie Smith, almost duplicated Grant’s experience—except that his credentials from past seasons were more impressive. In 1936-37 he was in the spotlight. He won the Vezina Trophy, was chosen First All Star goalie, and led the Red Wings to the league championship and Stanley Cup. His last season in the NHL was 1938-39. But, as in the case of most clubs, the war “made them desperate” for help—especially in net. They certainly were glad he chose to accept their invitation to fill the gap. The Toronto Star called his 1943 comeback “spectacular”. Manager Jack Adams, who essentially had washed his hands of him five years previously, was the first to praise his effort: “Wasn’t he terrific? He made the difference out there tonight!” Because of his wartime job in the Motor City he was only able to play home games, plus one in nearby Toronto — but he was “Johnny on the spot” for those matches. Johnny Gottselig was one of the most skilled stickhandlers ever to grace NHL playing surfaces. The Russian-born left-winger was a steady performer for a dozen seasons with the Chicago Six commencing in 1928-29. He semi-retired in 1941 to become manager/player of the Kansas City AHA club, the Hawks’ farm team. But, like many of his peers, he was pressed into service with the parent club, moving up to the Windy City for 10 games in 1943. His contributions were so significant that he made the comeback permanent for one more season, before turning to mentoring that same Chicago sextet. Details are very sketchy, but according to the November 20, 1945 Toronto Star, Paul Thompson, former Chicago Blackhawk, who was then coaching the Coast League’s Vancouver Canucks, played a few shifts a few days earlier. It seems that some of his players failed to show up for a game against Seattle, and he was forced to hurriedly dress and start the game at his old left-wing slot. The great “Toe” Blake suffered a broken leg during the 1947-48 season, which essentially ended his NHL career. The next season he accepted the position of coach on the Canadien’s AHL farm team in Buffalo. However, it was not the Bison’s year, and by the end of October the former “Punch” line winger was getting antsy. On November 20, 1948, his name appeared on the player roster.That night they lost to the Cleveland Barons, 4-2. He must have felt he contributed because he got into 17 more games as a player. A year and a month later he was back at it again. After a single season in Buffalo, he took up the coaching mantel of the Valleyfield Braves of the Quebec League. Because of several injures, some of them involving broken bones, the Quebec club has been reduced to 12 players. Always happy to get on the ice to instruct his chattels, he demonstrated his philosophy in game action, taking several turns on the ice, including time on the blueline. He continued his emergency fill-in role for 43 games, totalling 27 scoring points. He proved to be especially adept killing penalties. Ott Heller was one of those non-spectacular, “steady Eddie” types, who bolstered the Ranger defense corps from 1932 through 1946. After a couple of years with New Haven, he took over as coach of the Indianapolis Capitals of the AHL. For some of those years he is listed as “playing coach”. But by 1951 he was mainly a behind-the-bench mentor. However, in the December 29 issue of the Hockey News this headline graced page 11: “Coach Heller Drags Old Bones Onto the Ice To Help Rookie”. Apparently rookie blueliner Pete Durham was deemed by the old master to be better suited to the forward line. In order to help him in that transition, Heller himself stepped into the breach, literally giving on-ice tutorial assistance. Normally the focus of this column is on NHL or minor pro venues. 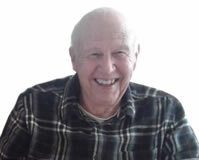 But back in November 1960 an unusual scenario made the spotlight in the Okanagan British Columbia Senior “A” loop. As the Kelowna Packers prepared for a weekend series with the Vernon Canadians, only eight team members were available for the trip. Unbelievably both Manager Don Culley and Coach Ray Powell were forced to suit up to fill a viable line-up for the games. Neither one would ever see age 40 again. But the host club received a rude awakening with this seemingly rag tag crew defeated them 5-2. It was all the more astounding when the clash pitted the winners, who had lost five in a row, against the losers who were riding a five-game winning streak. The next significant instance of emergency replacement involves “Wee Willie” Marshall. The 5’9’’, 160-pound centre was essentially a career minor-leaguer. He managed 33 games with the Leafs during the “Original 6” era, when it was tough to stick with any NHL squad. But he made his mark in the AHL as the league’s all-time leading scorer, having a trophy named after him, for the regular-season competitor who scores the most goals. He accomplished this in 13 straight campaigns with that circuit. But his “swan song” was hardly melodious. For the 1975-76 season he was the Manager of the Buffalo Norsemen of the wild North American Hockey League. He would probably like to forget the most prominent headline relating to his sextet. As the deciding playoff series with Johnstown was about to begin, the Jets decided to gain revenge on Norsemen fans who had hurled racial slurs against some of their troop. They started a full scale, 40-player brawl, starting with severe beatings of one-eyed Gregg Neeld (they shouted “we’re going to get the other eye!”) and Charlie Labelle—who had to be hospitalized. So the Buffalo players fled to their dressing room and refused to finish the game. The league gave the win to Johnstown, and subsequently the series as well. His more satisfying experience was to pull on the togs again in a February game, when injuries had severely reduced the lineup. But, the Norsemen folded after that debacle; and Marshall’s hockey career was finished. During the mid-1970’s, the pinch of two major leagues competing for players, and the resulting extravagant salaries, was becoming increasingly evident. Both loops were trimming rosters, with veteran skaters feeling the main brunt of the economizing measures—finding themselves in minor-league togs. As the 1975-76 schedules unfolded, an estimated 150 players from the two leagues were standing in the unemployment liners. It was no surprise then that the call for pinch-hitters was almost non-existent. But as the 20th Century came to a close, and the New Millennium was ushered in, the number of such instances increased. A year later it was Rollie Melanson’s turn come to the rescue. He had retired from the NHL’s Canadiens in 1992. He had taken a brief turn with the Colonial League’s Brantford Smoke in 1993; and when the AHL St. John Flames needed a backup netminder in January of 1994, he answered the call. And it wasn’t long before he was funneled into active duty. Jason Muzzatti came down with the flu, and Melanson took his place between the pipes. In his first match back he defeated Cape Breton’s Oilers 7-4. He played six more games after that, in which he was the decision goalkeeper of two, losing them both. Ric Seiling played his final pro game in 1988 with the Adirondack AHL club. He then moved into the position of Assistant Coach with the same club. !994-95 saw him a bench boss of the Utica Blizzard of the Colonial League. As is often the case the team found itself short-staffed for a game March of 1995, and, even though there had been seven years of inactivity, he stepped into the breach for one game. The game report showed that he had three shots and was minus one in the match. That same season back-to-back Norris Trophy winning former NHL rearguard, Rod Langway attempted a comeback. He had last seen action in February 1993. But on the weekend of February 17-19, 1995, fans in Wheeling, Erie, and Johnstown blinked twice when they saw the East Coast League’s Richmond Renegades No. 5 take to the ice in the pre-game warm-ups. He remained for six games with that sextet. Little is said about his 46 contests with the IHL San Francisco Spiders the following season. But he played a backup role again in February of 1998 when he filled in as a defenseman for the Providence Bruins, where he was the team’s Assistant Coach. He said they “were short on defensemen”, and he “hoped to reverse the club’s downward slide.” That attempt to rescue his troops lasted 10 games. Paul Gardner was another retiree whose skill packet had accumulated almost a dozen years of rust, when he was called upon to step in as an emergency replacement. His last as part of an NHL lineup was in 1985-86, playing two games with the Sabres. He moved right into coaching, guiding Newmarket’s AHL Saints for four seasons, before transferring to the Baltimore Skipjacks/Portland Pirates franchise until 1996-97 as assistant mentor. It was during that final year that the Pirates had need of manpower help for their depleted line-up. He not only took his regular shift but got an assist as well. Perhaps the physical rigours of netminding make it even more difficult for them to be pressed into service than for a forward or defenseman. Add two knee surgeries and a five-year absence from pro competition, and Chris Terreri’s jumping into the gap is even more fantastic. On December 28, 2005, the goalie coach for the AHL Albany River Rats played the first and third periods in a 4-2 loss the Hershey Bears. Assuming that a shinny mercenary’s playing days are behind him seems to represent something less than settled foundation. Obviously there are other examples of this oddity. But these represent the only examples which came to this writer’s attention. However, to conclude, we share a bit of a spin. In December of 1996 Andy Van Hellemond, former NHL whistle tooter, at age 48, was called upon to replace and absentee official in an ECHL match. Having retired from the NHL in June of that year, he became a Vice President of the East Coast League. So it was fitting that his final refereeing assignment should be with that circuit.